We kick off Hapa-palooza's 2017 programming with Mixed Voices Raised: a Moth-style evening of storytelling (true tales, no notes) with storytellers of mixed Asian heritage, sharing for about seven minutes each. As the mixed Asian community is the featured community for Vancouver Asian Heritage Month this year, we welcome you to this special spring program. RSVP on our Facebook Event page, and please feel free to invite friends! Artists and storytellers in this year's line-up include Zarah Martz, Tarun Nayar, Fred Wah, Melissa West Morrison, Amal Rana, and Henry Young, amongst others, all with unique and important perspectives on the theme of "Stories That Shape Us." Bios below! Thanks to our partners, the Vancouver Public Library and explorASIAN! Ethno-botanist, educator and librarian, Zarah Martz is one of the three founders and co-organizer of the Hapa-palooza Festival and the Hybrid Ancestry Public Arts (HAPA) Society. She grew up in a vacuum where mixed heritage identity did not have a voice yet, and strangers regularly asked her mother if she was adopted. Her ancestry is German-Jewish-Indonesian, and her heritage includes being Canadian. When asked "What are you anyways? ", the answer German usually doesn't suffice. When Indonesian is added, people nod "ah ha". Yet Germans have told Zarah she doesn't look German and Indonesians she doesn't look Indonesian. In the creation of the Hapa-palooza Festival, Zarah hopes to to create a space where the wild fusion of multiple ancestries and cultural heritage is celebrated and issues of hybrid identity explored. We are both immigrant settlers living, working and learning on the Unceded Territories of the xʷməθkʷəy̓əm (Musqueam), Səl̓ílwətaʔ/Selilwitulh (Tsleil-Waututh), and Skwxwú7mesh Úxwumixw (Squamish) peoples. Loretta Laurin is a queer, Chinese and French Canadian, community organizer and movement enthusiast/facilitator, born and raised in the Vancouver area. Jade Ho is a Taiwanese Belizean, environmental and social justice educator/activist, and a PhD student at Simon Fraser University. Jade and Loretta met in a dance class last Fall and connected over their shared experiences around embracing an ever-unfolding complex cultural identity. Melissa is a West Coast born-mix of Kwakwaka’wakw, Chinese, English, Irish and Scottish. She is a member of the Namgis Nation of Alert Bay. Melissa is passionate about creating spaces for her mixed-roots backgrounds to critically engage and work together to create moments of allyship, as well as the gesture towards creating sustaining future Indigenous-Chinese-European relations. Tarun is a passionate advocate of effecting social change through art. From touring globally with Delhi 2 Dublin, running club nights in Vancouver with Beats Without Borders, artistic directing the Vancouver International Bhangra Celebration, producing and composing for contemporary dance and film, or writing music for his new passion project Desi Sub Culture - he works to disrupt our society’s monoculture on stage and screen to provide new narratives for the next generation. 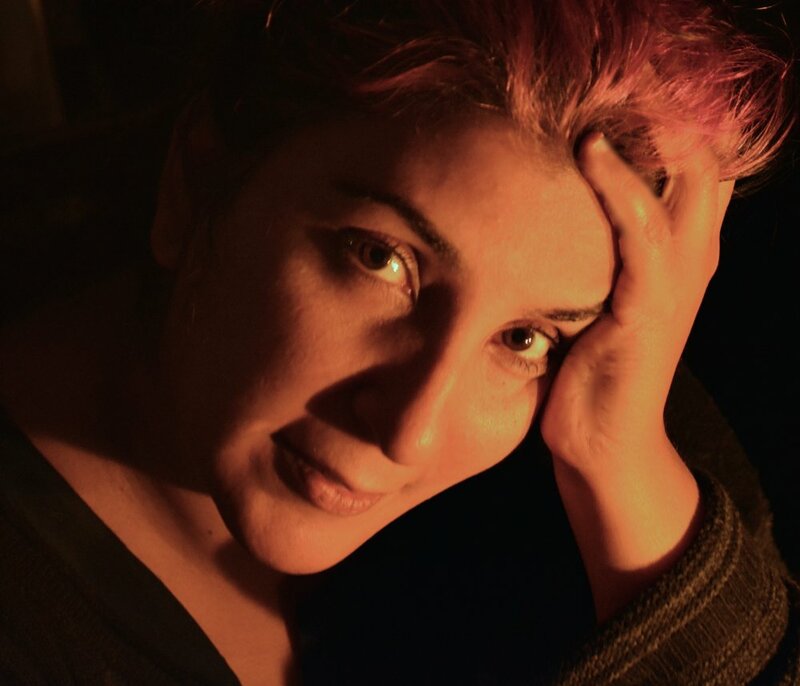 Amal Rana is a mixed-race, Pakistani Poet and Educator. In these times when even exhaling while being Muslim is considered a crime, she conjures poetry as an act of collective liberation. Amal’s poems have been published and performed widely. Recent creative collaborations include: Tomorrow Is Ours - Interdisciplinary Writing Series on Futurisms for indigenous people and people of colour, Breaking the Fast: Annual Arts Showcase for Muslim women and Queer and Trans Muslims and a Spoken Word/Contemporary Dance series for immigrant and refugee youth. Fred Wah is the author of Faking It: Poetics and Hybridity. Some of his recent poetry can be seen at highmuckamuck.ca and in recent collections - Is a Door, Sentenced to Light, and Scree: The Collected Earlier Poems, 1962-1991. For his entire career, guitarist Henry Young has been involved with crafting music of the highest calibre. A previous JUNO AWARD nominee, Henry’s work has drawn praise from the likes of Ray Charles, Wes Montgomery and Miles Davis. As a former principal member of Nina Simone’s superlative band, Henry has received international critical attention, having performed at the prestigious Montreux (Switzerland), New York, African and Newport Jazz Festivals.